Bulking up can seem like a long, difficult process. But it doesn’t have to be this way! There are certain steps you can take to start building muscle up today. In fact, you could bulk up rather quickly with our helpful guide. 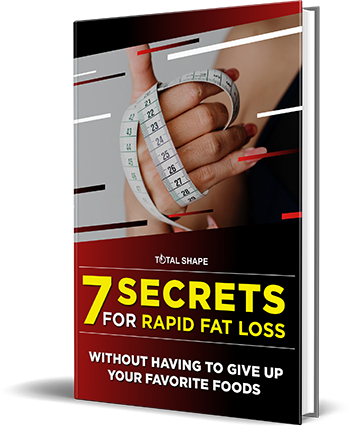 ​​So, stop dreaming about how to bulk up fast and finally start building muscle with quick results with our help! When trying to gain muscle, the most important thing to do is, you guessed it, work your muscles! This means spending plenty of time in the gym is the best way to build muscle. There is simply no other way to gain muscle. And if you want to bulk up fast, that means doing even more exercise with your gym time. Compound lifts are exercises that work multiple muscle groups at the same time. Doing more compound lifts means working more muscles with less work, instead of slowly targeting one muscle group at a time. Working more muscles means strengthening more muscles and, in return, that means more muscle growth and the potential to get big fast. ​Hypertrophy took part in the further increase in strength, with hypertrophy becoming the dominant factor. Choosing the proper workout routine is an important step in bulking up. Some people prefer full body workouts while others choose to work different parts of the body on different days. What works best for one person may not work great for you, so it is important to understand your own needs and preferences if you want to understand how to bulk up. What is important to keep in mind when figuring out your workout routine is that you should be working each muscle groups at least two times a week. Since your muscles only grow when you work them, working any muscle group less than two times a week could result in sacrificing your growth and will not allow you to bulk up fast. Eating enough calories is key to bulking up. So, if you’re doing tons of cardio in your workouts and burning off those calories, muscle growth is going to be a slow process. You won’t be able to get big fast. Too much cardio could even result in muscle loss. Most people do cardio 2-3 times a week, but for building muscle fast, it is recommended that you only do cardio once a week. Cardio is still an important aspect of working out, especially for your heart health, but can work against your muscle gaining goals. 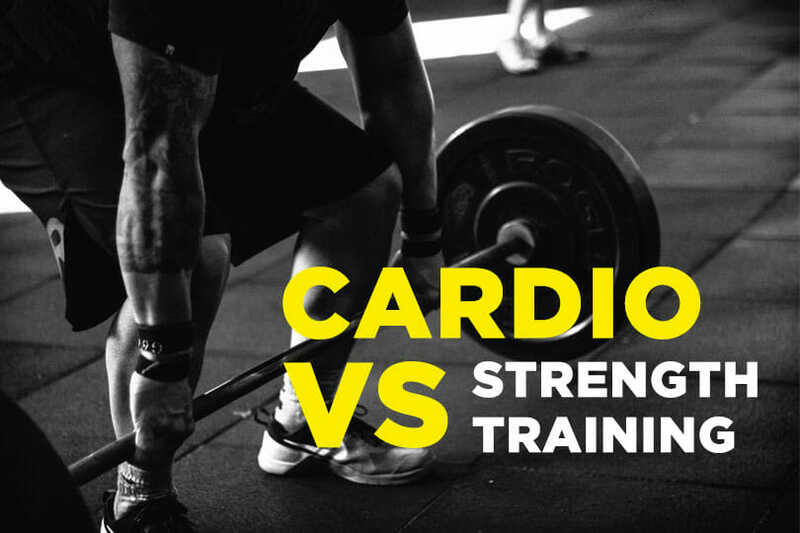 As far as the type of cardio to do when you are trying to get big fast, it is recommended to choose a low intensity cardio like biking or running, or even participating in sport activities. Varying rep ranges is important when you are trying to go big fast, but not for muscle confusion. Muscle confusion isn’t even real. What is real is breaking through plateaus when you reach them and increasing muscle growth. By switching up your rep ranges, you force your body to utilize different muscle fibers and energy pathways and, in turn, work more of your muscles. Try doing 5 sets of 5 of an exercise and 3 sets of 10 of the same exercises on alternating days to bulk up fast. Have you ever heard the saying, “slow and steady wins the race”? The same principle can be applied here. When you are lifting weights to get big fast, it’s not a race to go as fast as you can. You want to go slow and steady. Not only is this safer than going as fast as you can, but it helps make to sure your form is perfect and also works your muscles harder, increasing growth. Make sure to focus on slowly lowering the weights (this is the negative part of your rep) and hold the weight for a second or two before continuing into the next rep. When looking to get big fast, you need to keep eating. This means no skipping meals or snacks. And shoot for eating 3 big meals a day, with snacks in between, instead of one big meal and two smaller ones. The more you eat, the better your gains will be. To increase the amount of calories you eat, start by tracking the foods you eat normally for a week or two. Once you have this number, or the number of your maintenance calories, start by adding 200 - 300 calories a day. Protein may just be the most important macro you eat when trying to bulk up fast. 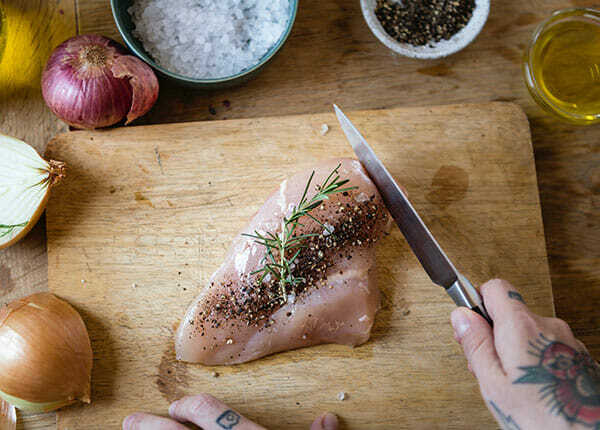 Protein is the building block of muscles, so naturally, you’ll want to eat plenty of protein to make sure your body has enough for your growing muscles. Good sources of protein include meat, eggs, and protein powder. Shoot for consuming 1-1.5 grams of protein a day. As you eat more protein and calories, the rest of your macros will come naturally, so don’t worry about counting them all out. You don’t want to only eat protein when bulking up—fat and carbs are also important here. But as long as you increase the amount of food you are eating and focusing on making sure there’s a good source of protein with every meal that’s included in your bulking meal plan, then fat and carbs will fall into place. Many people see protein powder as a solution for bulking up fast, but don’t forget about creatine! Instead of gaining weight overnight like with steroids, you will start to see progress in your gains within a few days when you take creatine. The best part is that creatine is pretty cheap and all you need to take is 5 grams a day to get the job done. See this page of our recommended creatine supplements. While protein is the most important macros you need to consume when building muscle, carbs may be the second most important. Carbs increase the amount of glycogen in your body which means you’ll have more energy in the gym and feel like lifting more and doing more reps. When getting strong is the most important factor in building muscle, this can be a big plus. Add more carbs to your meals by adding a large amount of rice, potatoes, oats, bread, or pasta to every meal. If you’re busy and find that you are having trouble sitting down to eat 3 big meals a day or keeping up with your calories and macros, you may want to try taking mass gainer shakes. Mass gainer shakes are shakes that contain all of the essential macros you need to build muscle. You can buy premade gainer shakes if you are pinched for time. Or, you can make them at home. A good gainer shake includes plenty of carbs and proteins, as well as any supplements you wish. Ingredients like milk, oats, peanut butter, protein powder, and creatine are perfect for your at-home gainer shakes. If you’re serious about learning how to bulk up fast, you need to be serious about eating. This means no skipping meals or snacks, not even if you are too busy or forget. You need to make the time to eat, just like it is your job. every day so you know you have the time to sit down and eat 3 big meals a day. Even if you are busy, there’s no excuse for not eating. Especially if you take advantage of the gainer shakes listed above. If you are dedicated to building muscle, you will be dedicated to eating a lot. You may find it beneficial to track your calories and lifts, especially if you see little to no progress after working hard. Tracking your calories will help you know exactly how much you are eating a day instead of guessing. You can track everything you eat with helpful apps like MyFitnessPal. Some of these apps even have calculators that tell you a roundabout number of how much you need to eat in a day to gain weight. And you don’t have to count your calories forever—just long enough to know what you’re doing right or wrong. Sometimes, you can pinpoint mistakes in only a few weeks. Other times, it may take a few months of tracking. The easiest way to know that the meals you are eating have the right about of calories, protein, and carbs is switching between the same ones. Once you find a recipe that you love with everything you need, keep making it! Try to have 3-5 go-to meals that have all of your essential macros in it so you always have a meal that fits your needs. Even if you’re in a pinch or running out of time, already knowing what to make can make building muscle that much easier. Sleep is essential for your body to perform at its best. If you are not getting enough sleep, your body may be underperforming and all of the hard work you are putting into building muscle may not stick. If you are not getting enough sleep, your muscles aren’t repairing properly. Make sure to get 7-8 hours of sleep a night for the best muscle growth results. Bulking up fast is completely possible, as long as you are dedicated, eat plenty of food, and work hard in the gym. With a little hard work and focus, you will see huge gains before you know it. Why wait? Start doing your part to bulk up today for even faster results! ​Without having to give up your favorite foods.